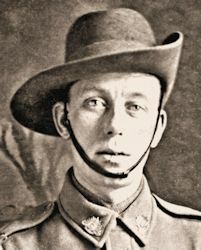 Frederick began military service on 6 September 1915 in Adelaide, South Australia , when he enlisted in the A.I.F. His service number was 4441. 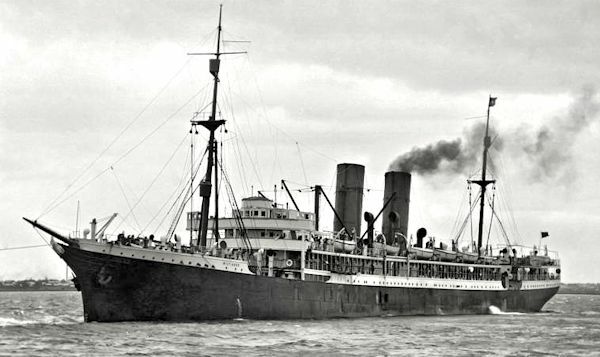 He left South Australia on the 7th February 1916 aboard the H.M.A.T. A28 "Militiades". On 9 July 1916 he was transferred from 4th. Div. Cyclist Company to 1st. Anzac Army Corps Cyclist Battalion, serving in France. He was wounded on 12th October 1917 and spent 3 months rehabiltating before rejoining his Btn. In early 1918 he was gassed twice, the second time was severe and he was invalided back to U.K.
Budarick, Alice May - Passed away Nov. 29th 1998, aged 89½ years. [S197] "Loxton News", December 2 1998.